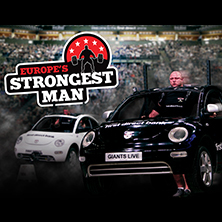 The best tickets for Europe's Strongest Man at fanSALE! The seating chart is currently unavailable. Unfortunately no suitable offers were found.